I had the honour of saying a few words at the opening of Hot vs. 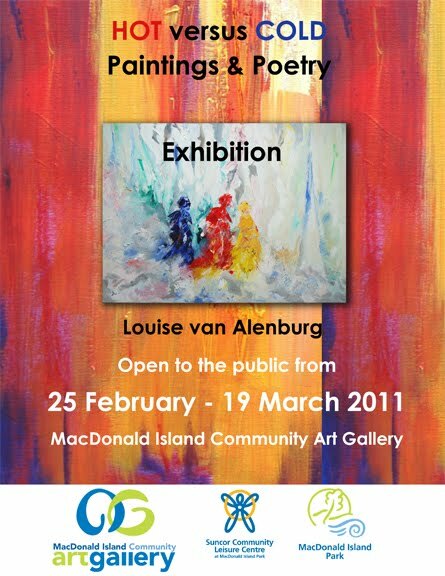 Cold tonight, the solo exhibition at the MacDonald Island Community Art Gallery featuring the works of Louise van Alenburg. 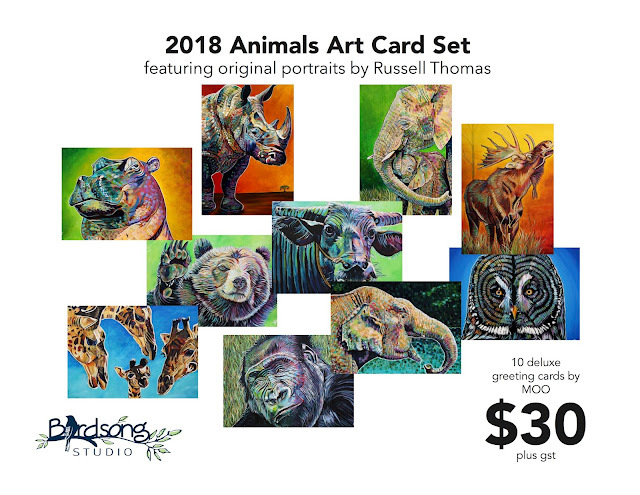 Louise is an incredible artist, who came to Fort McMurray by way of the Sakhalin Islands in Russia, several other locations, and her home country of Holland. Her body of work is substantial, evocative, and deeply personal. She is willing and eager to tell the stories that lie beneath the paint strokes. I hope you get a chance to hear them. I came here yesterday to get a sneak preview of Hot vs. Cold and to finally meet Louise in person. Up to that point we had only exchanged messages on Facebook. As I came in the door, I was bombarded by little people, about 20 or 30 preschool kids who had just been given a tour of the show. They were absolutely beaming having had a chance to ask questions and to listen to the insights of the artist. I can’t appropriately articulate how important that kind of interchange is to those students and to the strength of our community. Art, in all its forms, creates a sense of cohesion, understanding, and reflection about the places we occupy as human beings, whether those places are physical, emotional or spiritual. Those young children completely got the inspiration behind the piece that captures the beauty of the melting river ice, the wonder and perfection of a snowflake, and the uncertainty that comes with change. We are seeing a kind of renaissance in Wood Buffalo with respect to the visual arts. Influences and experiences are flowing into our region from all points on the planet. Our Municipality has embraced art and culture as part of its organizational structure, its planning processes and in its funding. 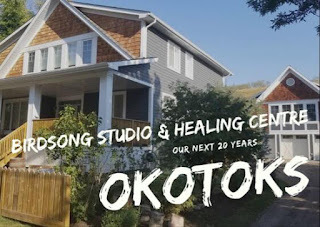 MacDonald Island has stepped forward to offer this wonderful space to create a home for the Community Art Gallery. Soon, Events Wood Buffalo in partnership with Keyano College will revive and renew the gallery on campus. Conversations are happening at all levels of government about the need provide more spaces for artists to work and to share their work. Art is firmly on the map and on the minds of the decision makers in our region. So, I guess one of the questions we can ask ourselves is WHAT CAN WE DO TO KEEP THE MOMENTUM GOING? It’s a great question. I think there are many things we can do, but here are three that hopefully you can take away tonight and remember. Keep telling your stories and sharing your work. Listening to Louise talk about her experiences here in Wood Buffalo or in the Sakhalin Islands of Russia, and how they shaped and influenced her work is compelling. Every artist has a story, and those stories create understanding, appreciation and ultimately, momentum. Start with the end in mind. What does a vibrant, inspirational, and well-resourced visual art community look like? Help your community leaders see that vision and then empower them to make it real. Find opportunities for engagement as often as you can. Art is meant to be more than a one-way conversation. It thrives when it is a shared experience, one that provokes discussion, debate and reflection. So, find ways of inviting the public into your work, into this space, into your hearts and souls. Some experiences in life leave you with a phrase, a few pretty notes that repeat themselves over and over. Other experiences leave you with a whole song, filled with moments and memories. I would argue that Louise’s exhibition leaves us with a symphony, one with all the shades of life, its majesty and mystery, its highs and lows, and its hot and cold. Congratulations and thank you. Thank you for enriching our community and for being a part of the incredible team who made this gallery possible. The MacDonald Island Community Art Gallery is located on the second floor of the Suncor Community Leisure Centre, down the long hallway opposite the Total Fitness Centre. Louise's work is also featured in the latest edition of NorthWord and on its cover. Pick up your copy today and support the thriving community of creative writers in Wood Buffalo. It's available for purchase at Keyano Bookstore, Coles, Frames & More, Airport Gift Shop, Oilsands Discovery Centre and Heritage Park. If you get the chance, ask Louise about the story of this painting and what lies beneath the blue, red and yellow children; it is a story that has a decidedly happy ending. Thanks so much Russell, it is good to read those words again. I am confident that times are changing for the arts in Fort McMurray. It's like the exhibition: we're in a transition. You only need a small electron that is changing it's course and it all happens! Wow Louise! It is great to read about you from another's pen... I am going to have to follow the stirrings of my heart, chat with you and get inspired enough to take up my abandoned brushes again! @Mercury, it was nice chatting with you indeed today. Pick up those brushes girl. You are always welcome at my Tuesday afternoon artclass!